Pisa is one of the most popular destination cities in not only Italy, but all of Europe. For those who are visiting the city, we offer a wide variety of transportation services to make their stay more pleasant and easier. First we offer transfer services to and from Pisa International Airport. Our transfer service can also include stops at shopping or dining locations along the way so that you don’t have to wait to start enjoying what the city has to offer. All of our vehicles are recent model Mercedes-Benz premium luxury cars and SUVs. We also offer Mercedes-Benz multi passenger vans, which are luxurious and spacious, offering up enough room for your entire tour group as well as all of your luggage in one trip. We make booking easy and offer you a 24/7 emergency help line to ensure that your vacation is not interrupted with transportation concerns. Pisa, the ancient city best known for its famous leaning tower, is also a treasure of art, architecture, food, culture, and history that is a must visit for anyone who is on an Italian holiday. The city is among the most ancient in the country, with origins dating back to the Etruscans and at great significance to the Greeks during their colonization of the Mediterranean. This places the city at more than 3300 years old, and over the course of that time Pisa has seen and been involved in most of the ancient European history. The city of Pisa is, as mentioned before, most notably known for its famous leaning tower, which is actually the bell tower of the city’s cathedral. The tower leans more than 14 feet from perpendicular, and while the origins of its lean are unknown, what is known is that it is among the top 10 most visited places in Italy, and among the 50 most visited attractions in all of Europe. The city of Pisa is more than just the tower and the beautiful cathedral that it serves. The city is home to more than 20 historically significant locations, and more than a dozen other attractions including museums, and. of course, the world-famous University of Pisa. The latter is home to the Scuola Normale Superiore di Pisa, which was founded by Napoleon himself and is one of the most prestigious graduate schools in the world. With so much to see and do in the city, it is highly recommended that those who are visiting, be it for several days or even for a short layover during city or airport transfers, use a car hire service with an experienced and capable driver. There is no denying also that having a car available at your disposal. With this services you can set your own itinerary, choose what activities that you want to do and when, and even head off the beaten path and explore more of the area around the city. The greater Pisa area offers a lot of great wineries, villas, gardens, and more, not to mention shopping, dining, and entertainment. With a car service always ready to serve you, you can do more of what you want to do on your vacation or business trip. At DGT we are committed to helping you have the best stay in the city that you can. We have the experience and knowledge to recommend to you the best places to see and things to do in the city. These are not your run-of-the-mill tourist attractions, although we will, of course, show you those, but also the out-of-the-way secret treasures that allow you to really dig into the cultural and historical significance of the city and its people. We offer a full line of Mercedes- Benz luxury vehicles to choose from for your English speaking driver-included car hire, and limo service featuring the best fleet in the Tuscany region. 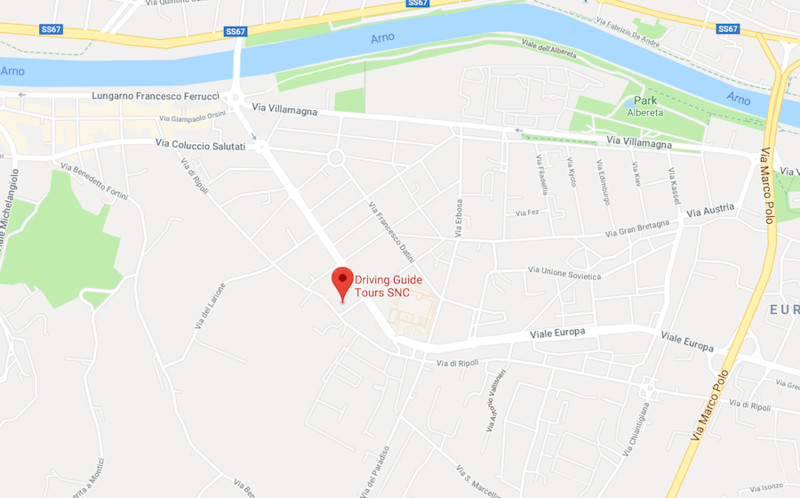 It doesn’t matter if you need a transfer into the city from Pisa International Airport, or if you need city to city transfer to one of the other great cities in the Tuscany region, we should be your first choice. Feel free to contact us using our online form, or the chat box located at the bottom of the screen. If you are booking from the United States or Canada, you can give us a call at 1-866-746-4348. 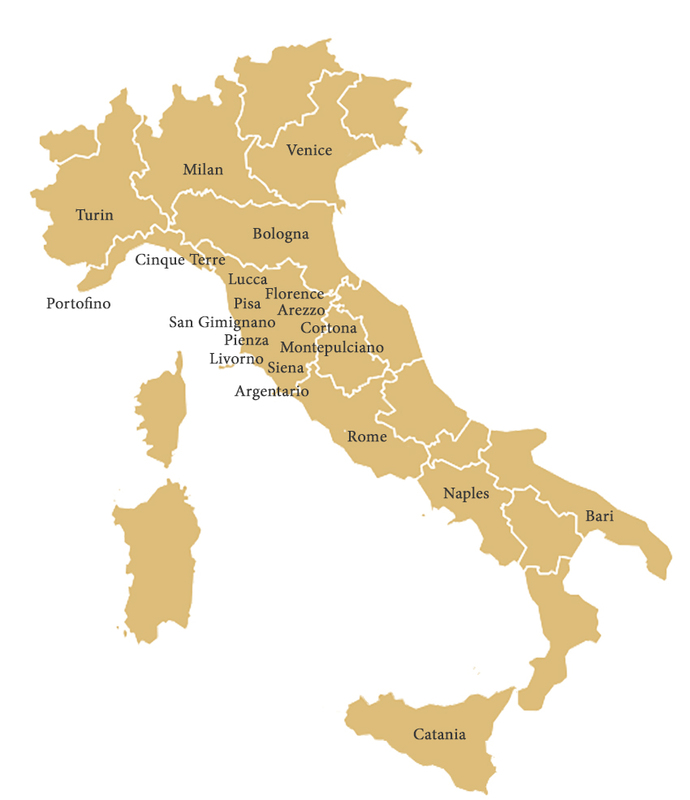 If you are already in Italy call us in country at +39 055-632930. Let our company be your answer to the perfect chauffeur-driven car in Pisa for both an extended stay or city or airport transfers.